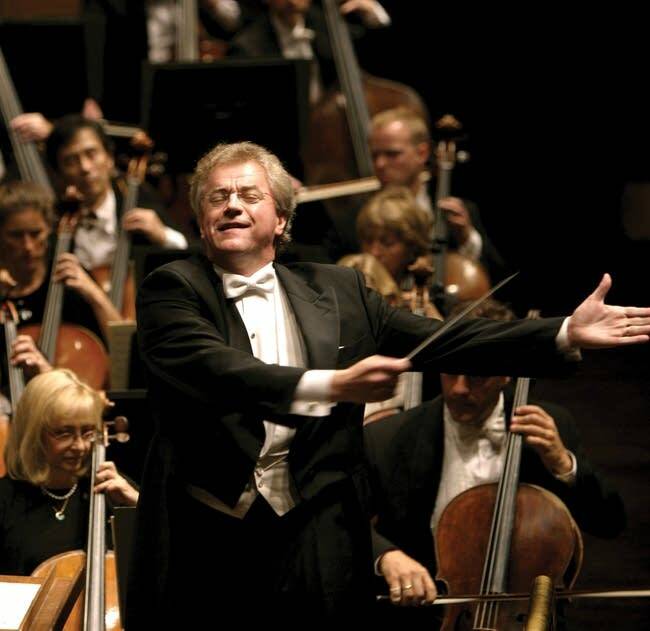 Osmo Vanska has been an "astonishing" conductor, and the Minnesota Orchestra wants him to stay, but management is facing some tough choices over its long-term financial health, the body's president and CEO said Wednesday. "Ultimately, if Osmo decides to go, that is his decision," Michael Henson told Euan Kerr on The Daily Circuit. "We want him to stay through to the end of his contract. However, in the longer term, we have to look after the health and well-being of this orchestra." "We've had many distinguished conductors in the past, that have had world renown, and this orchestra has an astonishing reputation both nationally and internationally," he said. But the orchestra board "cannot let two concerts at Carnegie Hall determine the future of the organization." The Carnegie concerts, scheduled for early November, are important to the reputation Vanska and the orchestra have been building over the last several years. A performance at Carnegie Hall in 2010 inspired New Yorker critic Alex Ross to write that "For the duration of the evening of March 1st, the Minnesota Orchestra sounded, to my ears, like the greatest orchestra in the world." That review, which gave substantial credit to Vanska's conducting, helped put Minnesota on the classical music map. Vanska has suggested that he would resign if the Carnegie concerts are canceled. He and the orchestra's leadership have determined that the musicians would have to return by Sept. 30 to allow enough rehearsal time, meaning that a contract to end the lockout would need to be signed by Sept. 15. "We don't want Osmo to leave ... that's obviously Osmo's decision, but ultimately, our duty is to ensure we have an orchestra here based for many years to come," Henson said. "It would be imprudent of us to agree to a contract that actually maybe works for 12 months and actually pushes us into even further financial problems." "There is nothing to be gained by a quick fix that actually pushes us into a very, very serious financial crisis," he said.